The Cactus V6 is the world's first non-TTL wireless trigger that works on any camera with a standard hot-shoe or PC sync port to remotely control the power output of Canon, Nikon and Pentax’s system flashes – all at the same time. The nifty radio trigger can adjust power levels in 0.1EV increments - even if your flash does not offer that option -, and offers a well-thought user interface that allows easyt multi-group power output control for up to four groups of flashguns. "We have profiled more than 30 popular flash models across a wide range of brands so that the V6 can precisely control their output levels," the company says. "With this unique feature, photographers can remotely control the flash power of various flash models, even of different brands." The V6 can directly control a Cactus RF60 set to Slave mode using RF60’s built-in radio transceiver. Besides controlling power remotely in single and multiple groups, the V6 can also adjust the zoom level of the RF60 easily by pressing the adjustment wheel and swap control between power and zoom. The Cactus V6 transceiver is available for $59.95. 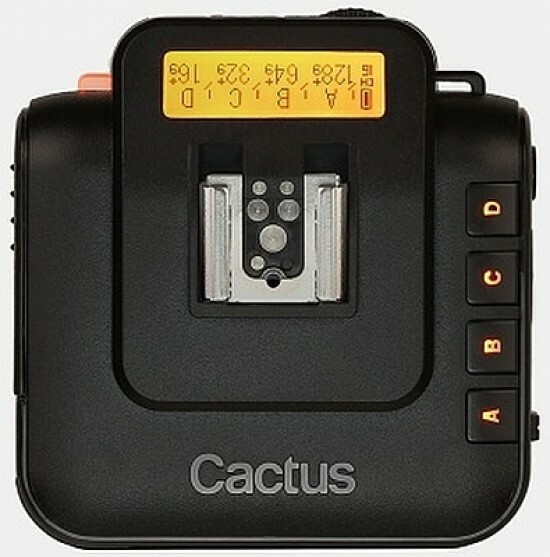 Cactus V6 – The World’s FIRST non-TTL wireless trigger that can control power of cross-brand system flashes of Canon, Nikon and Pentax. While photographers think that remote power control of portable flash has to be operated in the same TTL system, Cactus overthrows this concept by its V6 Wireless Transceiver. The V6 is the World’s First non-TTL flash trigger that can remotely control flash power of Canon, Nikon and Pentax’s system flashes – ALL AT THE SAME TIME! The well-thought user interface that allows fastest multi-group power output control in just ONE quick slide. The precision that up to 0.1EV power level can be adjusted even if the flash does not offer that option. An awesome feature that can benchmark the power output of flash models with different GN. TTL pass-through, group control, optical trigger, delay timer and many more. This is the wireless flash transceiver that photographers are truly waiting for. More details can be found on Cactus’s website at www.cactus-image.com/v6.html. *Cactus is a Hong Kong company that researches, develops and manufactures photographic equipment for professional photographers and photographic lighting enthusiasts.